Daron Wint testified that his brothers were responsible for the four deaths. 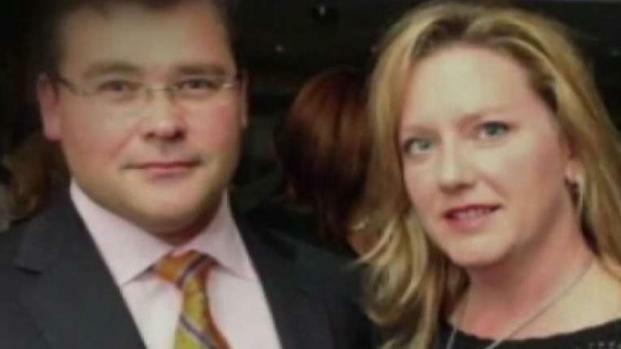 Wint explained his whereabouts when three members of the Savopoulos family and their housekeeper were held hostage and killed. He also explained how he came into contact with three of the four items from the crime scene that had his DNA. 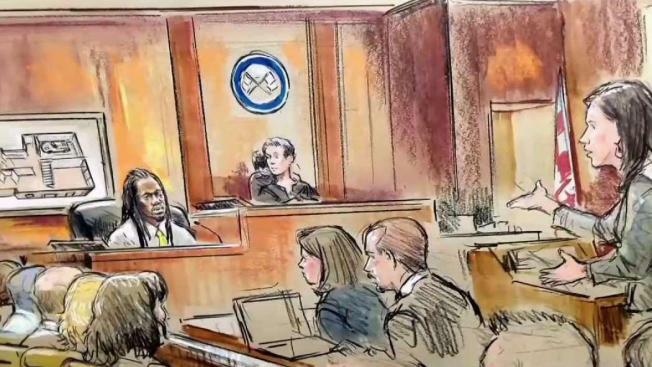 The lone suspect in the D.C. mansion murders case took the stand in his own defense Wednesday. Daron Wint is charged with murder in the 2015 deaths of Savvas Savopoulos, 46; his wife, Amy, 47; their 10-year-old son, Philip, and housekeeper Veralicia Figueroa, 57. He is accused of holding the victims captive, extorting $40,000 and setting their Northwest Washington mansion on fire. The defense hopes Wint’s testimony will prove the case they laid out in opening statements. They’re arguing Wint’s half-brother Darell Wint and brother Steffon Wint used his blue minivan to drive to D.C. where they killed the four victims and tricked Daron Wint into going to the house to pick up his minivan. Wint admitted he was nervous. He rubbed his eyes and took a few seconds to collect himself while answering questions from his attorney. Wint told jurors Darell Wint asked him for his help with a painting job he was doing with Steffon Wint. Daron Wint testified that in the early morning hours of May 13, 2015 — the day the victims were taken hostage inside their home on Woodland Drive NW — he met up with Darell Wint, who told him he didn’t need his help with the job after all but wanted to borrow his minivan. He told jurors Darell Wint agreed to pay him $300. Daron Wint testified Darell Wint dropped him off at a friend’s house in D.C. where he waited for him to return that night. He testified Darell Wint didn’t return that night. He testified he drank too much that night and passed out. He also testified he had left his phone in the minivan. 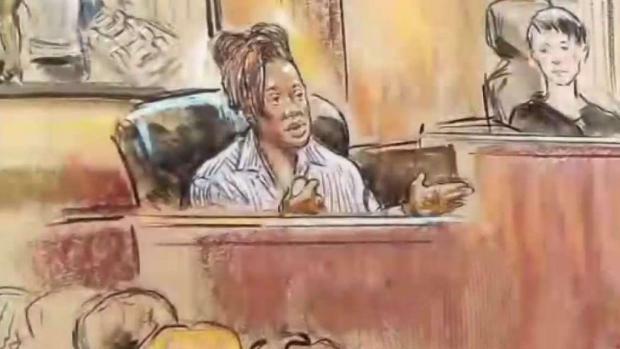 He said Darell Wint returned the next morning in the Savopoulos family’s blue Porsche and took him to the mansion where his Darell Wint said he was doing work. Daron Wint said he ate a piece of stale pizza in a downstairs room in the home. He said Darell Wint asked him to put on a construction vest and hard hat because he was about to steal items from the house. Daron Wint's DNA was found on the pizza, the vest and the hard hat. He could not explain how it got on a knife that propped open a window in the basement. Daron Wint testified he refused to participate and threw the hard hat down in the garage and walked out toward a bus stop. Minutes later, Darell Wint picked him up and drove him back to New Carrollton, Maryland, while Daron Wint pleaded with him to give him back his minivan, he told the jury. Wint testified he found a tow truck driver in a parking lot along Annapolis Road and hired him to pick up the minivan in D.C. He said later that night he was eating dinner with his family when he saw the mansion murders on TV. He said he met with Darell to ask him what happened in the house and told him to take the van because he didn’t want to be connected in any way to the crime. Darell Wint then paid him $6,000 for a new car and gave him two iPhones, Wint testified. Witnesses for the prosecution previously testified about Daron Wint flashing cash in the days after the crime. Two days later, Wint testified, his minivan wasn’t in the garage of his dad’s home, so he assumed Darell Wint picked it up to get rid of it. Wint also told jurors he returned the iPhones because he had a suspicion they may have been stolen. The prosecution, which rested its case Wednesday morning, will question Daron Wint Thursday.